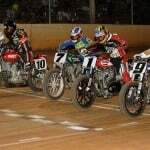 The AMA Pro Flat Track Championship is headed to South Dakota, to add a bit of racing action to the area best known for its famous South Dakota rally. On Tuesday, August 4, the series will compete on the half-mile oval at Black Hills Speedway. 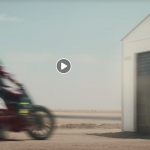 Current points leader Jared Mees will be looking to extend his championship lead, while Kawasaki-mounted Bryan Smith will be riding a wave of confidence, having won three of the four Mile races this year. Perennial contender Sammy Halbert has yet to finish outside the top ten in any round so far in 2015, which has helped him earn his third pace standings in the points. He’ll try to keep the streak alive in South Dakota. Harley-Davidson-mounted Brad Baker has to be considered one of the favorites for this event, however. The 2013 GNC1 champion currently lies fourth in the points, having won two of the last three main events. He’ll be riding a wave of confidence on August 4. Other contenders to keep an eye on include three-time champ Kenny Coolbeth who, despite his current string of bad luck, is never one you can count out. Brandon Robinson and his number 44 Triumph has also shown flashes of brilliance this season, and is poised to make a break-out performance at any moment. In the GNC2 class, 17 year-old Davis Fisher is establishing himself as a rising star, the Honda rider finished second in 2014 point standings, missing the title by a single point, and is making up for it this year by leading the standings. That said, Nick Armstrong, Jamison Minor, Dan Bromley and J.R. Addison are all threats to take the top step of the podium come August 4. 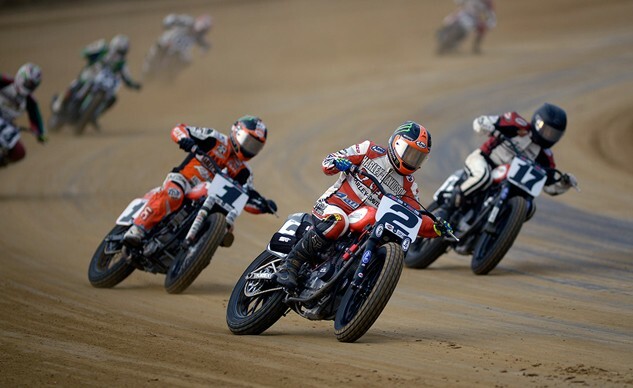 All of the AMA Pro Flat Track action from Rapid City can be viewed live, in high definition on http://www.FansChoice.tv. 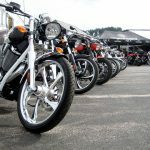 For tickets and more information regarding the Black Hills Half-Mile, please visit https://www.sturgisharleydavidson.com/.